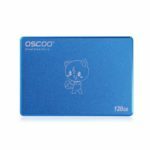 The Solid State Drive is an innovative data storage device which provides high reliability, stability, super fast read and writing speed, shock resistance with low power consumption and no noise features. 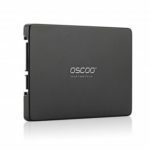 It is universally compatible with most of computers’ hardware system with SATA3 interface like laptop and desktop, etc. 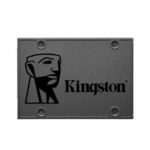 2.5 inch SATA 3 (6.0Gbps) slim type. 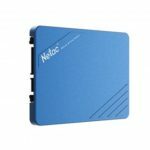 120GB SSD read speed up to 560MB/s and write speed up to 500MB/s (influencing factors: software and hardware configuration, method of use). Universally compatible with the most of computers’ hardware system with SATA3 interface, such as desktop, laptop, etc. Very quiet reading and writing, more environmentally friendly, low power, low heat and no noise. 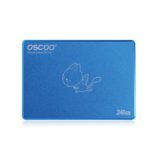 OSCOO SSD is designed without any moving part to withstand shock and vibration. It is more durable and reliable than a hard drive.